Son Heung-min trusts his Tottenham team-mates to get the job done against Ajax in the Champions League semi-final next week. Speaking in new ITV documentary Run For Your Life, which airs on Tuesday, Lord Coe says grassroots sports provision is not funded properly. 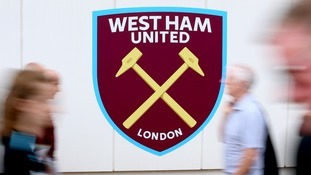 West Ham United vowed to implement life-time bans on the football fans seen in the video. Tottenham defender Danny Rose has been grateful for the support he received in the wake of comments about his future in the game.